At Elite Endodontics, we genuinely do provide the best treatment available anywhere, because we keep pace with technology and the preferred techniques backed by industry leading dental journals. We use the operating microscope for all procedures. 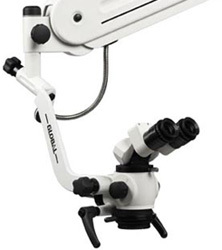 It provides increased magnification and illumination, allowing unparalleled vision to more thoroughly treat the tooth. 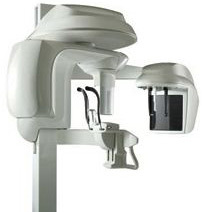 Better vision aids in detection of cracks/fractures, locating small or calcified root canals, removing a broken instrument from a root canal, ensuring the canals are thoroughly cleaned, or filling the root canal systems. This technology rivals traditional film based X-Rays, providing enhanced images while reducing a patient's exposure to radiation. Digital radiographs also eliminate the harsh chemicals used to process traditional X-ray film, lowering the environmental impact of our office. Also known as 3-dimensional imaging, this enables us to obtain a more complete view of an area of interest with far less radiation than the traditional CT Scan. This is especially useful for difficult diagnostic cases, trauma cases and dental implants. Our embrace of technology extends to a paperless record keeping system, which allows for superior organization and security of patient records. Referring doctors and patients can log in from anywhere for added convenience. We encourage you to pre-register at this website to save you time when you come to our office for your appointment. Please call our office with any questions.